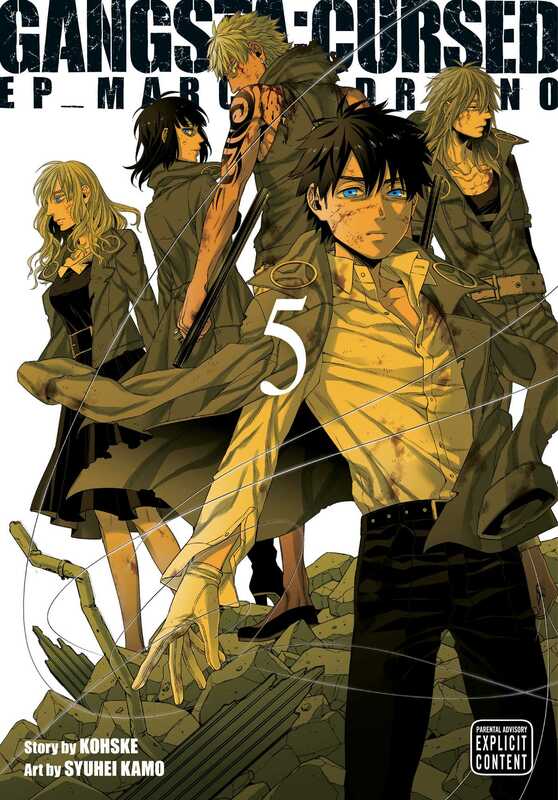 A spin-off series from the hit manga Gangsta that tells the backstory of Marco Adriano. The man named Marco Adriano is a loyal and beloved member of the Cristiano Family, helping them protect the persecuted Twilight population in the city of Ergastulum. But he was once a boy code-named “Spas,” raised as a Hunter and assigned to the Destroyers Second Group for a single purpose: to track down and kill Twilights. Spas has lost the sense of justice that gave his life meaning. Striker still lives only for the thrill of the hunt. The rift between their moral stances forces Spas to break the promise they’d once made to each other, initiating a bloody parting that will scar them both forever. The final volume of Marco Adriano’s hidden history of savagery and redemption. More books in this series: Gangsta: Cursed.